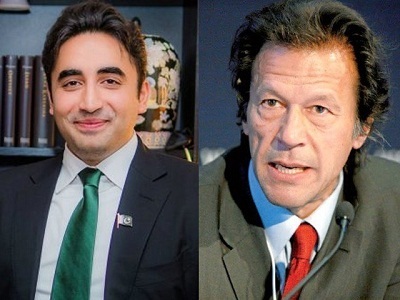 Karachi: Condemning the Sahiwal incident, Pakistan People’s Party (PPP) chairman Bilawal Bhutto Zardari on Sunday lambasted the Pakistan Tehrik-e-Insaf (PTI)-led government for what he said turning Punjab into a “police state.” “Sahiwal firing incident is a message that citizens should not go out of their houses with their children in Naya Pakistan,” he said in a statement. “The killing of innocent people is a slap in the face of the PTI’s tabdeeli sarkar (government for change).” The PPP leader said that it was an outcome of the good governance that the government disappeared after the incident and questioned the people “claiming to be following the tenets of Medina state” to explain as to where were those responsible for the Sahiwal tragedy. The government’s announcement of a probe into the matter was nothing beyond making headlines, he said, adding that no one trusted the PTI government’s probe. He said the people who transferred SSPs and IGPs won’t be able to do justice. “Jungle law has been imposed in the country in the name of Naya Pakistan.” Four people, including two women, were killed in a shady encounter involving the Punjab police’s counter-terrorism department (CTD) on a highway in the Qadirabad area of Sahiwal district on Saturday noon.